Let our award winning team serve your Real Estate needs! Welcome to Pacific Realty's website serving Seattle, Bellevue, Mercer Island, Issaquah, Sammamish, Kirkland, and Redmond. Our website offers you the latest listings that are ACTIVE right now, giving you the best chance to find the perfect home. 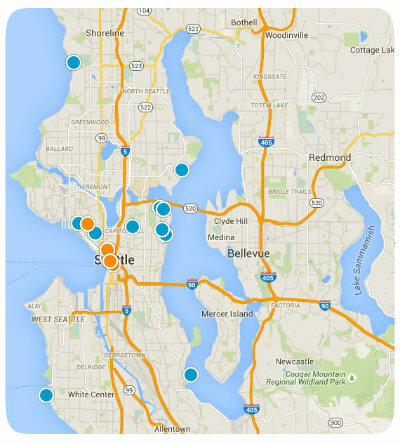 Feel free to search Seattle-Eastside homes by zipcode or by our map feature. We try to make searching for your new home as easy as possible. If you're thinking about selling your home, you can use our home value tool that gives you a real-time estimate of your home's worth. Keep in mind that nothing beats a personal consultation appointment where we can come by to do a more in-depth evaluation and explain the details for getting the best and right price for your property. Feel free to browse through our website to get more tips and ideas on buying and selling real estate. When you're ready, contact us for a FREE Real Estate Consultation, where we can determine the best step to take. Real estate can be a difficult and complicated process, so let us do the heavy lifting. Our team of experienced agents are here to help you every step of the way. We believe that the future of Real Estate lies in technology and in service, and the future of real estate is now. We are a team of leaders who have broken new grounds in the world of Real Estate; we have been functioning with an exceptional commitment in our field with strength, credibility, quality and innovation. We believe in giving the very best to our clients and know a home is not defined by the size or color of the walls; it is about how you feel when you walk through the door. Woodridge Div No. 4 Bldg. Kimberlee Park Div 02 Bldg.